Water is a necessity, but nowadays too many of us rely on plastic bottles to get our daily intake. 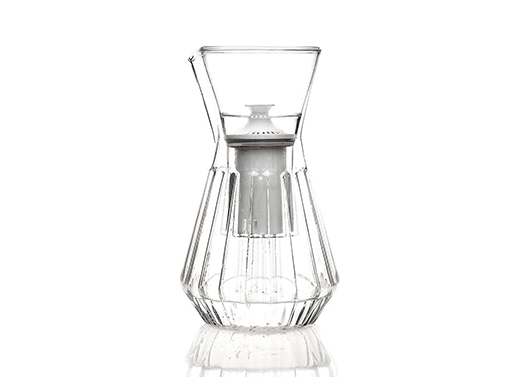 Perhaps by purchasing this very nice Talise carafe, you’ll cut down the amount of plastic you use and thus become a more responsible adult. Unending supplies of water and other beverages may be kept in its lovely fluted design, which looks so much more appropriate on a dinner (or conference) table than a six pack of plastic bottles. Use the inner funnel to hold a water filter, if needed, or remove entirely for non-filtered beverages. Please note that filter is not included. Updated price and link; originally posted Jul 20, 2016.